Inflatable power boat booked for Torchwood excitement! 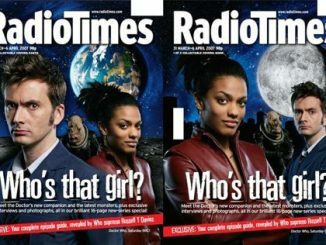 BBC considering Doctor Who movie? Guillermo Del Toro to make Lovecraft’s At The Mountains of Madness? Prison Break star was forced to quit? Reviews of 08/5/17-15/5/17’s episodes of American Gods, The Americans, Doctor Who, The Flash, Great News, The Handmaid’s Tale, Lucifer and Silicon Valley.